NOTE 1: Dates included below for British locations are represented in the Old Style (Julian) up until September 1752 and subsequently in the New Style (Gregorian or continental style). For locations on the Continent, the New Style was used as early as 1700 and in Italy prior to this date. According to the old Julian calendar the year changed on March 25 -- the Feast of the Annunciation. [For example, 31 March 1751 (new style) converts to 20 March 1751 (old style).] NOTE 2: ( ) = numbers in parentheses represent GFH's approximate age in years. James, Duke of York I (future James II) converts to Catholicism. 22 April : Accession of the Roman Catholic James II. 23 April : Coronation of James II. 12 June : The Duke of Monmouth (illegitimate child of Charles II) and a small group of supporters invade England at Lyme Regis. 6 July : Battle of Sedgemoor; Monmouth is defeated. 15 July : Monmouth is beheaded. 6 October : Dorothea Sophia Händel (-1718), GFH's sister, is born. June 30 : The "Immortal Seven" (William Cavendish, Charles Talbot, Thomas Osborne, Bishop of London Henry Compton, Edward Russell, Henry Sidney, and Richard Lumley) secretly invite William of Orange (nephew and son-in-law of James II, defender of the Protestant Faith) to invade England. 14 September (Old Style) : Louis XIV invades the Rhenish Palatinate thereby beginning the "Nine Years War" (also known as the "War of the League of Augsburg"). 5 November : The Prince of Orange lands with an army of 15,000 at Torbay. Marches on Exeter. 9 December : James, Prince of Wales, and his mother, Princess Mary of Modena, leave for France. 11 December : King James II flees London for France, stopping to throw the Great Seal of England into the Thames. 12 December : James II is captured by English fisherman near Sheerness, on the Isle of Sheppey, and is returned to London. 16 December : James II is returned to London. 23 December : James II escapes. 25 December : James II reaches France. Agostino Steffani (1654-1728) is appointed Kapellmeister to the Elector of Hanover. NOTE: For more on The Glorious Revolution, click here. 28 January : The Commons resolves that James II has abdicated the government and that the throne is thereby vacant and against a "popish prince". 13 February : The Parliament formally offers William of Orange and Mary (his wife and James II's daughter) the English crown. 4 April : The Crown of Scotland is declared forfeit. 7 May : England declares war on France. 11 May : William and Mary formally accept the Scottish throne. 12 May : Treaty of Vienna is signed between Holy Roman Emperor Leopold I and The United Provinces of the Low Countries to undo the annexations of Louis XIV and restore the peace settlements of Westphalia (1648) and of the Pyrenees (1659). During the next 18 months they are joined by England, Brandenburg, Saxony, Bavaria, Hanover, Savoy, and Spain to form the Grand Alliance. 17 July : Jacobite rebels in the Highlands (under Dundee and the Viscount Graham of Claverhouse) defeat William's forces at the Battle of Killiecrankie. 1 May : Scottish Jacobite forces defeated at Cromdale. 14 June : William lands in Ireland and advances on Dublin. 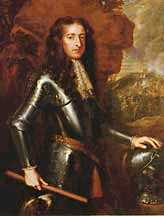 1 July : William defeats the outnumbered Franco-Jacobite arm at the Battle of the Boyne. Dublin falls to William. 4 July : James II flees to France. 5 September : William returns to England. 3 October : Treaty of Limerick is signed. The Irish Jacobites surrender. Those who remain loyal to James II -- the "Wild Geese" -- leave for France. Young Georg visits the Saxon court at Weissenfels with his father, where Duke Johann Adolf hears GFH play the organ. The duke advises GFH's father to have his son properly tutored. On or around this year, the composer Giovanni Bononcini (1670-1747) is employed by the Colonna princes of Rome. 21 November : Henry Purcell (36) dies. 14 February : Plot by Sir John Fenwick and Jacobites to kill William III is uncovered. 21 January : Sir John Fenwick is executed. 14 February : Georg Händel (75) dies. 10 September (old style) : The "Nine Years War" ends with the signing of the Treaty of Ryswick. The treaty secures peace between Louis XIV of France on the one side, and on the other William III of Orange (acting for Great Britain), and the United Provinces of the Low Countries, and Charles II of Spain. Louis XIV restores his conquests and recognizes William III as the King of England. William Congreve (1670-1729) writes: "Music hath charms to soothe the savage breast, To soften rocks, or bend a knotted oak." from The Mourning Bride. Act i. Sc. 1. Date of earliest datable composition: Trio sonata in G minor, Op. 2 No. 2 (HWV 387). 30 July : Anne's (future Queen) last surviving child, William, Duke of Gloucester, dies. 21 October : Charles II, the last Spanish Habsburg monarch, dies. His will, the contents of which are public knowledge, makes Louis XIV's grandson, Philip, Duke of Anjou, the King of Spain (hence, Philip V), on the condition that the country is neither divided nor united with France. Louis XIV backs his grandson's claim to the Spanish throne -- in violation of the Second Partition Treaty. 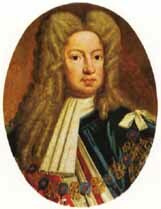 November : Philip V is crowned King of Spain. 12 June : "Act of Settlement" provides for the future Hanoverian succession in Britain -- assuming no Protestant heir exists or unless "The Old Pretender" abjures Roman Catholicism. 27 August (old style) : A Grand Alliance is formed between Great Britain, Holland, Austria, Denmark, Prussia, Hanover, and Savoy-Piedmont (and later Portugal) against a coalition of France, Spain, and a number of small Italian and German principalities. A conflict develops over the legitimacy of the succession of Philip V to the Spanish crown. On the Habsburg side, Charles III, the Spanish "pretender," also lays claim to the throne. The Grand Alliance's aim is to counteract Louis XIV's France and the southern German states. Louis XIV proclaims James's son ("James III") the rightful next king of Britain. Louis' action alarms the British, drawing the two countries closer to the brink of military conflict. Friedrich I, grandfather of Friedrich II ("Frederick the Great"), is crowned King of Prussia. 10 February : Enrolls at the University of Halle. It is not known which faculty he attended. 7 March : William III signs an Act of Attainder and Abjuration against James, "The Old Pretender." He is succeeded by his sister-in-law and daughter of James II, Anne of Denmark (37). 15 March : John Churchill, 1st Duke of Marlborough (1650-1722), appointed Captain-General of the Forces. 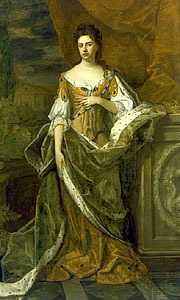 April : Coronation of Queen Anne. 7 May : Britain, the Dutch Republic and the Habsburgs declare war on France. The "War of the Spanish Succession" begins. As the conflict spreads into North America, it is known there as "Queen Anne's War." The European conflict is also referred to as "Marlborough's War." June -- July : Arrives in Hamburg. August : GFH and Mattheson visit the organist/composer Dietrich Buxtehude (1637-1707) to explore succeeding him as organist of the Marienkirche in Lubeck. One of the conditions is for Buxtehude's successor to marry his daughter; both decline to do so (as does J.S. Bach 2 years later). Agostino Steffani is appointed Kapellmeister to the Elector of Palatine [Düsseldorf]. Jeremiah Clarke (ca. 1674-1707) and William Croft (1678-1727) are jointly appointed organists of the English Chapel Royal. 4 August : English capture Gibraltar. 13 August : Battle of Blenheim : The Duke of Marlborough defeats the French, driving them from Germany. 30 December : Mattheson and GFH reconcile. They dine and attend a rehearsal of Almira (HWV 1) together. According to Mattheson, "[we] became better friends than ever". Composes Florindo (HWV 3) and Daphne (HWV 4). Composes approximately 100 chamber cantatas while living in Italy. 14 January : Arrives in Rome before this date. 12 February : Completes composition of Il delirio amoroso (HWV 99) on or before this date. March - April : Composes Il trionfo del Tempo e del Disinganno (HWV 46a). April : Completes composition of Dixit Dominus (HWV 232). Composes the cantata Diana cacciatrice (HWV 79). Habsburg armies under Charles III (later Holy Roman Emperor Charles VI) threaten "The Eternal City" (Rome). Ruspoli raises a militia in defense of the city. Pope Clement XI is forced to drop his endorsement of the Bourbon heir and recognize Charles III as the rightful heir to the Spanish throne. May 1 : Scotland and England unite under the "Act of Union". Composes the cantata Armida abbandonata (HWV 105). 8 July : Completes Laudate pueri dominum in D major (HWV 237). 13 July : Completes Nisi Dominus (HWV 238). October : The cantata Clori, Tirsi e Fileno (HWV 96) is performed. Leaves Rome. Returns to Florence. Winter : Travels to Venice. Probably meets Prince Ernst August of Hanover (brother of the Elector). 23 January : The Lord Chamberlain issues orders giving QT exclusive rights to perform operas. March : James III, the Old Pretender, lands in Scotland; a French fleet sent to assist him is repulsed by Admiral Byng. James III returns to France. May : Travels to Naples. Stays there approximately 10 weeks. 16 June : Completes score to Aci, Galatea e Polifemo (HWV 72) -- believed to be intended for the wedding of the Duke of Alvito. July : Composes Aminta e Fillide (HWV 83). 12 July : Completes composition of Se tu non lasci amore (HWV 201a). 19 July : Wedding of the Duke of Alvito and Donna Beatrice Sanseverino. Composes La Lucrezia (HWV 145). Composes Hendel, non può mia musa (HWV 117). Antonio Caldara (circa. 1670-1736) is appointed Ruspoli's Maestro di Cappella (a post coveted by GFH). Caldara remains in Ruspoli's service until 1716. The British organist/composer John Blow (59) dies. J.S. Bach appointed court organist at Weimar. Date ? : Cardinal Pietro Ottoboni (1667-1740) holds a keyboard "trial of skill" between Domenico Scarlatti and GFH. At the conclusion of the contest, GFH is judged the better organist, while Scarlatti is deemed the superior harpsichordist. 16 July : Johanna Christine Händel (GFH's sister) dies. 9 November : Prince Ferdinando writes a letter of recommendation concerning GFH to Prince Carl von Neuburg, Governor of Tyrol, in Innsbruck. By December : GFH arrives in Venice. Meets the English ambassador, the Duke of Manchester, who invites GFH to visit London.
? late February : Departs Venice. early March : Arrives in Innsbruck. Declines Prince Carl von Neuburg's offer of a court position. Travels on to Hanover. 4 June : Arrives in Hanover on or before this date. 16 June : Appointed Kapellmeister (possibly arranged by Agostino Steffani) to Georg Ludwig, Elector of Hanover (future King George I), at a salary of 1000 thaler under the condition of acceptance that GFH receive an immediate 12-month leave of absence to London. Completes Apollo e Dafne (HWV 122) [Hanover]. Travels to Halle to pay respects to his mother and Zachow. November -- December : Leaves Düsseldorf and travels via The Netherlands to England, arriving in London. The Habsburg Holy Roman Emperor Joseph I dies unexpectedly. His brother, the Spanish "pretender" King Charles III (1685-1740), succeeds him as Emperor Charles VI. 2 June : Opera season at QT closes with performance of Rinaldo (HWV 7a). June : Leaves London for Germany; visits Düsseldorf en route to Hanover. 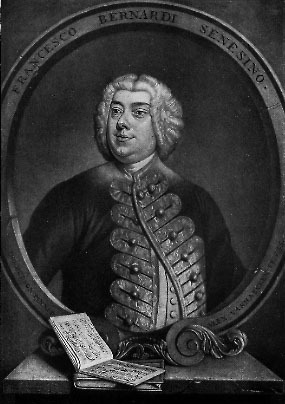 17 June : The Elector of Palatine writes a letter to the Elector of Hanover apologizing for Handel detention explaining that he sought GFH's opinion on some musical instruments. July : In a letter GFH comments that he's learning English. 19 November : Johanna Friederika Michaelsen (GFH's niece), second child of his sister Dorothea Sophia and Michael Dietrich Michaelsen, is born. 23 November : GFH visits Halle for the baptism of his niece Johanna and stands as godfather. 31 December : Lord Marlborough dismissed as Captain-General. Vivaldi's Opus 3, "L'Estro Armonico", is published. 16 July : English-French truce. 7 August : Friedrich Wilhelm Zachow (48) dies. Early October : Returns to London for next opera season -- stays with "Mr. Andrews of Barn-Elms" (now Barnes, in Surrey) and later at Burlington House (Piccadilly) with Richard Boyle, the Earl of Burlington (until 1716). 24 October : Completes composition of Il pastor fido (HWV 8a). 19 December : Completes composition ofTeseo (HWV 9); dedicates it to Lord Burlington. "Mr Swiny Brakes & runs away, & leaves ye Singers upaid ye Scenes & Habits also unpaid for. The Singers were in Some confusion but at last concluded to go on with ye operas on their own accounts, & divide ye Gain amongst them." Swiney was promptly replaced by the Swiss, John Jacob Heidegger (1666-1749). 13 January : Completes Utrecht Te Deum (HWV 278). January -- February : Composes Jubilate ("Utrecht ") in D major (HWV 279) and Birthday Ode for Queen Anne (HWV 74). 6 February : Birthday Ode for Queen Anne (HWV 74) to be performed, but perhaps wasn't. 31 March - 2 July : The Treaties (or Peace) of Utrecht are signed bringing the "War of the Spanish Succession" to a close. The Holy Roman Emperor Charles VI (formerly, the "pretender" Charles III) succeeds. The British, fearing that victory over France will now result in the predominance of the Habsburgs in European affairs, dissolve the Grand Alliance. In the treaty, Louis XIV recognizes George I as king of Great Britain and cedes the North American territories of Nova Scotia (except Cape Breton Island), Newfoundland, and Hudson Bay to the British. He also agrees to the transfer of the Spanish Netherlands to Austria and grants mutual most-favored-nation status to Britain and the Dutch Republic. Britain obtains Gibraltar and Minorca. The French cede French St. Kitts. France recognizes the Protestant succession in Britain and agrees to expel "James III." April -- May : Probably composed Silla (HWV 10). 19 April : The "Pragmatic Sanction" is promulgated by the Holy Roman emperor Charles VI with the intent that all his Habsburg kingdoms and lands descend as an integral whole without partition. It stipulated that his undivided heritage go to his eldest son, should he have one, or, failing a son, to his eldest daughter and then, if she should die without issue, to his deceased brother Joseph I's daughters and their descendants. (NOTE: A son was born to Charles in 1716 but died in the same year, and Charles's subsequent children were both daughters -- Maria Theresa, born in 1717, and Maria Anna, born in 1718). GFH is dismissed from Hanoverian post. 13 July : Spain concludes a treaty ceding Gibraltar to Great Britain and granting the British sole rights (via the South Sea Company) to the slave trade in the Spanish colonies in the Americas. The Assiento (the monopoly of supplying slaves to Spanish American colonies) is abandoned. 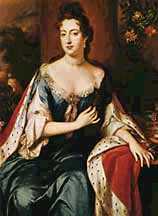 28 December : Queen Anne grants GFH a pension of £200 per annum. François Couperin's first book of "Pièces de clavecin" is published. The Elector of Hanover (great-grandson of James I) is proclaimed King George I. 18 September : George I arrives in England. October : James Brydges (1674-1744) is given the title, Earl of Carnarvon (later Duke of Chandos). Francesco Geminiani (1687-1762) arrives in London. J.S. Bach promoted to "conzertmeister" at Weimar. Begins first cycle of sacred cantatas. Vivaldi's "La Stravaganza" is published in Amsterdam by Étienne Roger. Corelli's 12 Concerti Grossi, Opus 6, are published posthumously. April -- May (?) : Completes composition ofAmadigi di Gaula (HWV 11); GFH dedicates it to his London host, Lord Burlington. 23 July : Opera season closes prematurely due to the first Jacobite rebellion to restore the House of Stuart. 1 September : Louis XIV, King of France, dies; he is succeeded by his 5-year-old great-grandson Louis XV, under the regency of the Duke of Orléans. 6 September : Earl of Mar raises Stuart standard at Braemer. 13 November : Jacobites are defeated at Preston and Sheriffmuir. 1 February : Opening of the London opera season is delayed due to Jacobite unrest. 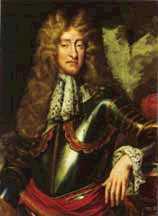 10 February : James III leaves Scotland having failed to enlist support for the rebellion in England. 7 July : George I departs for Hanover. (date ?) GFH travels to Germany visiting Halle and then on to Ansbach where he visits with his old friend, Johann Christoph Schmidt (subsequently changes name to John Christopher Smith; 1683-1763). GFH persuades Schmidt to leave his trade (wool merchant) and return with him to London as his treasurer and copyist. End of 1716 : Returns to London. 8 December : Opera season opens. 4 January : The "Triple Alliance" is formed between England, France, & Holland to uphold the Treaty of Utrecht and to oppose Spanish ambitions in France and Italy. 21 March : For the third performance of Amadigi di Gaula (HWV 11), a new scene is introduced. 5 June : For the last performance of Rinaldo (HWV 7a), the French dancer Marie Sallé (10) appears for the first time in one of GFH's operas. No more opera in London until 1720. "About eight in the evening the King repaired to His barge, into which were admitted the Duchess of Bolton, Countess Godolphin, Mad. de Kilmanseck (sic. Kielmansegge), Mrs Were and the Earl of Orkney, the Gentleman of the Bedchamber in Waiting. Next to the King's barge was that of the musicians, about 50 in number, who played on all kinds of instruments, to wit trumpets, horns, hautboys (oboes), bassoons, German flutes, French flutes, violins, and basses; but there were no singers. The music had been composed especially by the famous Handel, a native of Halle, and His Majesty's Principal Court Composer. His Majesty approved of it so greatly that he caused it to be repeated three times in all, altogether each performance last an hour -- namely twice before and once after supper. The evening was all that could be desired for the festivity, the number of barges and above all of boats filled with people desirous of hearing was beyond counting. In order to make this entertainment the more exquisite, Mad. de Kilmanseck had arranged a choice supper in the late Lord Ranelagh's villa at Chelsea on the river, where the King went at one in the morning. He left at three o-clock and returned to St. James's about half past four. The concert cost Baron Kilmanseck £150 for the musicians alone. Neither the Prince nor the Princess (of Wales) took any part in this festivity." 19 July : London newspaper article from the "Daily Courant"
"On Wednesday Evening, at about 8, the King took Water at Whitehall in an open Barge, wherein were also the Dutchess of Bolton, the Dutchess of Newcastle, the Countess of Godolphin, Madam Kilmarnock (sic. Kielmansegge), and the Early of Orkney. And went up the River towards Chelsea. Many other Barges with Persons of Quality attended, and so great a Number of Boats, that the whole River in a manner was cover'd; a City Company's Barge was employ'd for the Musick, wherein were 50 Instruments of all sorts, who play'd all the Way from Lambeth (While the Barges drove with the Tide without Rowing, as far as Chelsea), the finest Symphonies, compos'd express for this Occasion, by Mr Hendel, which his Majesty liked so well, that he caus'd it to be plaid over three times in going and returning. At Eleven his Majesty went a-shore at Chelsea, where a Supper was prepar'd, and there was another fine Consort of Musick, which lasted till 2; after which His Majesty came again into his Barge and return'd the Same Way, the Music continuing to play til he landed." 4 August : Arrives at Cannons (near Edgeware in Middlesex) on or before this date. He enters the service (as composer-in-residence) of James Brydges (1674-1744), Earl of Carnarvon (later the 1st Duke of Chandos). 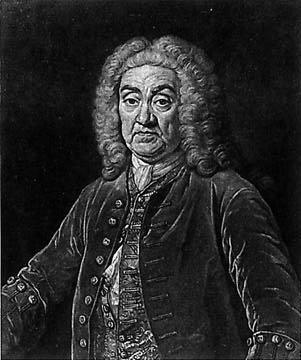 He joins there the Master-of-the-Music, the German composer, Johann Christoph Pepusch (1667-1752). Begins to compose the Chandos Anthems (HWV 246-56). Mr. Handle has made me two new anthems very nobles ones & Most think they far exceed the two first. He is at work for 2 more and some Overtures to be plaid before the lesson. Begins to compose the Te Deum ("Chandos" or "Cannons") in B flat major (HWV 281). JS Bach is appointed Kapellmeister at Prince Leopold's court at Anhalt-Cöthen after having been dismissed in disgrace from Weimar following a 1-month imprisonment. 2 August : The "Quadruple Alliance" is formed once the Holy Roman Empire joins the "Triple Alliance" of England, France, and The Dutch Republic. The purpose of the Alliance is to prevent Spain from altering the terms of the Treaty of Utrecht. (See 1713.) Spain had seized control of Sardinia and Sicily (assigned to Austria and Savoy, respectively, by the Utrecht treaty). With the backing of the Quadruple Alliance, the British fleet brought Austrian troops to Sicily, and the French sent troops to occupy northern Spain. February : Royal Academy of Music founded to establish Italian opera in London. Heidegger is named manager of the Academy; Paolo Rolli is named chief librettist; Roberto Clerici is named scenic designer and machinist. "It is greatly to my regret that I find myself kept here by affairs of the greatest moment, on which (I venture to say) all my fortunes depend; but they have continued much longer than I had anticipated." 29 April : James Brydges, Earl of Carnarvon (47), is given the title Duke of Chandos. "forthwith to repair to Italy, Germany or such other Place or Places as you shall think proper, there to make Contracts with such Singer or Singers as you shall judge fit to perform on the English Stage....That Mr. Hendel engage Senezino (sic.) as soon as possible to Serve the said Company and [f]or as many Years as may be." Late May : Leaves for the continent; visits the elector of Palatine's court at Düsseldorf; travels on to Halle and stays with his family. J.S. Bach, travelling from Cöthen, narrowly misses meeting up with GFH. "waiting for the engagements of Sinesino (sic. ), Berselli and Guizzardi (sic., Guicciardi) to be concluded." 27 July : Royal charter for the Royal Academy of Music is issued. 21 November : Leopold Mozart is born. 30 November : In his absence, the Royal Academy of Music appoints GFH "Master of the Orchester with a Sallary." Giovanni Bononcini (living in Rome at the time) is invited to compose for the Royal Academy of Music (Earl of Burlington). Margherita Durastanti arrives in London. 17 February : The Treay of The Hague is signed. The allies force Philip V (King of Spain) to renounce his claims in Italy and France; Victor Amadeus II of Savoy gives up Sicily to Austria in exchange for Sardinia. Tuscany, Parma, and Piacenza are assured to Charles VI (Holy Roman Emperor). This concludes the War of the Quadruple Alliance. March (?) : Composes Radamisto (HWV 12a). This is Margherita Durastanti's London début performance. This is Margherita Durastanti's first London performance of a work by GFH. 25 June : Opera season closes. 7 July : J.S. Bach's first wife, Maria Barbara (35) is buried. The cause for her death remains unknown to this day. At the time of her death, J.S. Bach is away "taking the waters" at Carlsbad for a prolonged visit. As explained by his son Carl Philipp Emanuel Bach, "The news that she had been ill and died reached him only when he entered his own house." Margherita Durastanti (soprano) announces that she is pregnant. End of September: Francesco Bernardi (alto-castrato; called "Senesino"), Mateo Berselli (soprano-castrato), and Maddalena Salvai (soprano) arrive in London. Autumn : Bononcini arrives in London. October - December : The "South Sea Bubble" collapses bringing economic ruin to many investors. GFH also loses money including many of the noble patrons of the Royal Academy of the Music -- including the Duke of Chandos. Walpole minimizes the national economic damage from this financial crisis. This is Senesino's (alto-castrato) début London performance. This is Senesino's (alto-castrato) début performance in an opera composed by Handel. 23 March : Completes composition of Act 3 of Muzio Scevola (HWV 13). (NOTE: The directors of the Royal Academy decided to settle the incipient rivalry between its three house composers by inviting each to submit one act of a composite opera. Act 1 was composed by Filippo Amadei; Act 2 was composed by Giovanni Bononcini; Act 3 was composed by GFH.) Handel is deemed the victor of the contest. 24 March : J.S. Bach dedicates concertos to the Margrave Christian Ludwig of Brandenburg. At the King's Theatre in the Hay-Market, Saturday next, being the 11th Day of April, will be perform'd a new opera call'd MUTIUS SCAEVOLA. Tickets will be deliver'd on Friday, at Mr. White's Chocolate House in St. James Street. 11 April : The première of Muzio Scevola (HWV 13) is interrupted by the announcement of the birth of the Duke of Cumberland to the royal family. 1 November : Opera season opens. 28 November : Completes composition of Floridante (HWV 14). JS Bach marries 2nd wife, Anna Magdalena Wilcke. Telemann invited by the city of Hamburg to become Kantor of the Johanneum and Director Musices (musical director) of the city's five main churches.